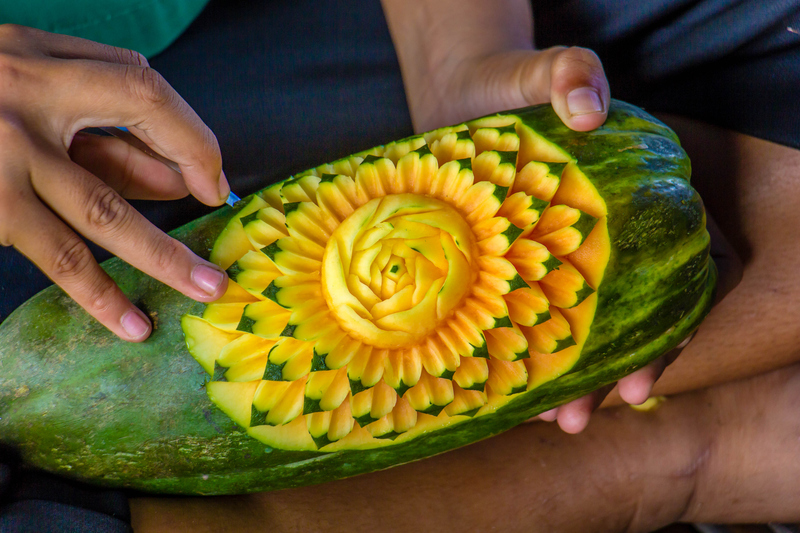 There are specialized tools one can buy which may cost you a good bit if you are going to be doing Thai fruit and vegetable carving for a living. But until then, here are tools that you might already have that can be used. 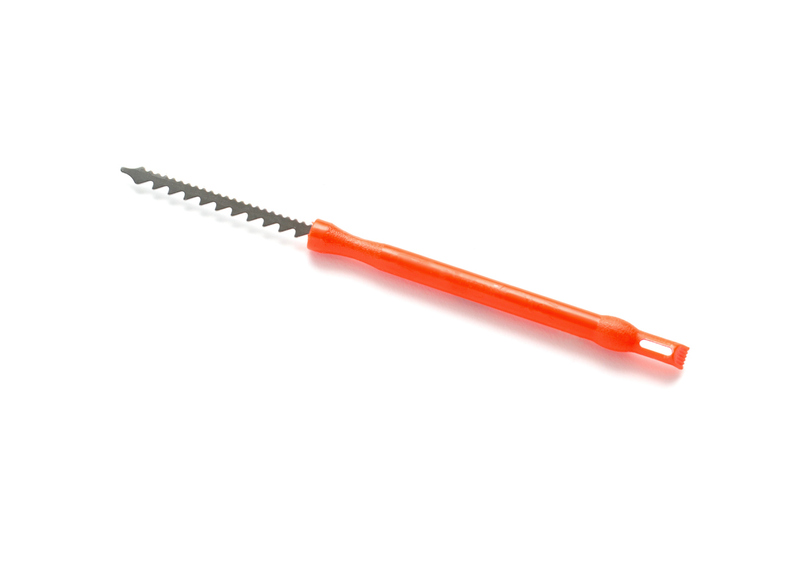 A paring knife, useful for many cutting jobs, and especially for rose tomatoes and small cutting jobs. 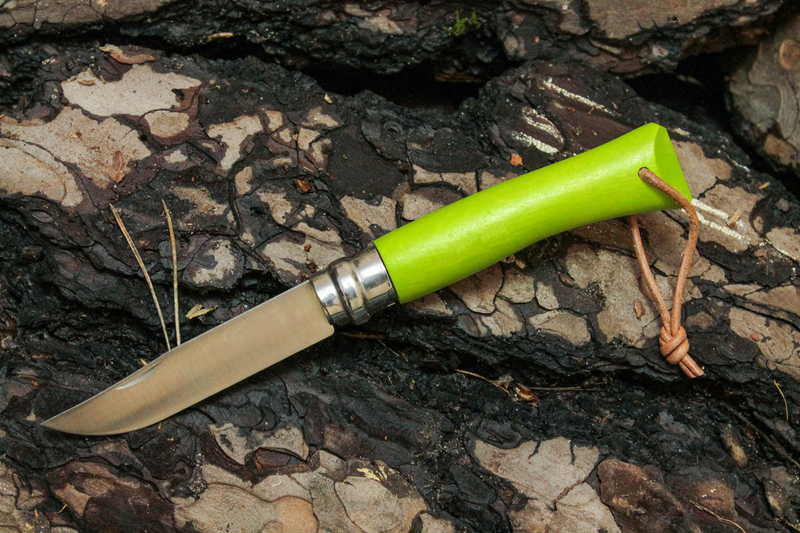 For larger jobs of cutting a Chef’s knife, a peeler, and grapefruit knives can also be used. Specialized tools can include A Kyocera ceramic knife used for slicing paper-thin slices, remains sharp. Crinkle-Cut Blade, this makes wavy cuts used for French fries too. V Carving knife makes V-shaped gouges, U Carving knife makes u-shaped gouges. Shape-cutters small like cookie cutters create lots of shapes and sizes. A tourne knife also called a bird’s beak knife, for making fine cuts and slices. A melon scooper to create c avities. A wedge for cutting round vegetables and fruits into wedge slices. An egg-cutter for delicate slices as well as a mandolin slicer which uses various blades that slice, dice, wavy, julienne and cubes. Apple corer that peels and cores fruits as well as making curly fries from potatoes. A vegetable spaghetti cutter this gives you thinly curly strands from carrots and cucumbers. Now that you have the tools, have a look at your intended project and choose from the selection of home-use tools you already have. See which is best suited for which part of the project and then practice until perfect. Take a toy animal and place it in front of you then try to replicate it from a suitable vegetable or fruit. If you cannot do it this way, then it might pay to invest in a DVD or book or even online videos.